If you’re here, it’s probably because you are sitting in your cubicle thinking about starting a business – your own thing - but probably haven’t quite gotten to the “start’ part yet. First of all, that’s OK. Second of all, you can start today. Mohnish gave a talk at the Ben Graham Centre for Value Investing in 2012, which intentionally or unintentionally included a 101 guide book on how he started his first business while working and subsequent investment fund. We have condensed the relevant parts (Panda Notes) for your reading pleasure. “So I went in in January of 1991 to my boss’ office and turned in my resignation. And he and his boss, who was the President of the company, they sat me down and said “we finally now know what happened to you the last one year because you just turned off. And you were not so bad that we wanted to fire you but we just couldn’t get output out of you.” And I said “BINGO, that is exactly what I was trying to do!” [laughter]. And so they tried to give me a raise and this and that to keep me interested. Then they made me an offer; they said “look, when you’re business fails” – not if your business fails – they said that “when your business fails, come back and we will give you this massive raise and you will get this higher position and you don’t even need to look for a job. Just next year you can start working.” So I said “wow, what a country. “So first of all, one part of the secret is you do not need money to start a business, okay? There are venture capitalists, in fact for me the venture capitalists were VISA and Mastercard – these venture capitalists are willing to fund you completely with no equity. They don’t even want any equity. They don’t even want any business plan. This is fantastic, what a country! [laughter]…First of all I applied for every VISA and Mastercard I could get…And I had 20-25 credit cards that I socked away. Ideally the business is 1) You are very passionate about and 2) Doesn’t require significant money to get going. “I have started three business in my career. And I started a few others that maybe petered out in a week or something but I won’t talk about them. But three of them went on for awhile. Two of them took virtually no capital to get going. Pabrai Funds and my IT company TransTech, Inc. They took hardly any capital. The third one, which is one called Digital Disruptors, I thought I was really smart at the time. And I put a lot of my capital, a lot of my net worth in it, and I took a lot of other people’s money into it. In fact, it took about $4.5 million of capital and the four and a half million went to zero in a pretty short period of time. I learned a number of things from that exercise. What about Walmart? In the case of a company like Walmart (and Amazon), the genius of the business model is that they use their suppliers to finance their own business. Selling $1 million dollars of pickles a month? Only keep one month of inventory and pay your supplier in 90 days. At day 89 you now have $3 million dollars of sales in your pocket and are about to pay your supplier only $1 million and $2 million to work with. Not bad. Sidenote: start as soon as possible. “I think you get a free one shot very early in your life when you have no family, no kids, no nothing, and no assets. The good news is when you are early on in life when you have no assets, it is the best time to declare bankruptcy. So my thinking was I could completely blow up, lose everything, and it would not affect anything. Mohnish Pabrai was actually a late blooming entrepreneur. “So the dreams of a teenager. I went through some trauma, I would say pretty significant trauma, in my childhood. My father was a kind of quintessential entrepreneur. He must of started, sold, bankrupted, cloned, maybe 15 different businesses in 15 different industries. He made a Bollywood feature film. He set up a radio station. He ran a jewelry factory. He had a painting company. Interior decoration. Insurance brokerage. Real estate brokerage. A wide range of things. And some of these things – manufacturing speakers for Philips – some of these things actually scaled quite a bit to several hundred people. Invariably all of them at the end blew up. And the thing is that, the reason they blew up, which is clear to me now, is that my father was very aggressive as an entrepreneur. He always saw the glass as overflowing when there was even a tiny amount of water in it. So all his business were always trying to grow as fast as they could and they were highly levered. Max the leverage, max everything. So when the first kind of headwinds started coming in the businesses had a really tough time sustaining. But my father was also extremely good. He defeated even bankruptcy. Bankrupt means the point of not even having groceries for next week. And he would from absolutely nothing start the next business. He would bounce back up. I saw both my parents bounce back up repeatedly. So that actually showed me how people can lift themselves from zero. But the thing is that as a child what I noticed is my parents were very poor financial planners. When things were going really well they spent a lot of money and lived well and all that. When things were going really poorly, we had to really [indiscernible] and ask relatives for money and all these things. As a kid growing through that – I was really traumatized by it. One of the things I wanted was – when I was able to finish my education I became an engineer and got a good job. My goal was to keep that job for my whole life and put 15% of my money into my retirement account. And to let that build over time and to not mess around with ever starting a business. That was my game plan. So actually when I was a teenager that’s what I wanted to do. Why did you start a business if you wanted a secure job so badly? “Because my father and I had some conversations when I was an adult. And what I was finding was that this job was very stable but had become boring. And so I have a rule that I follow, and the rule is that if on Monday morning I’m not fired up to go to work then I will do two things. Number one, I will not go to work. Number two, I will hit the reset button. And this has happened there times in my career….And so the thing is when something inside you is telling you that you’re not happy with the circumstance or you would rather do something else, you have to listen to that inner voice. How to take that first step (even though you’re busy at your day job and frozen in fear and procrastination). It’s hard to start. “I want to start my own investment fund” or “a food truck” you say. It’s not starting a food truck, it’s spending less than five minutes on Kijiji searching for “food trucks” to see what’s for sale. It’s googling “food truck bylaws in [city xyz]”. 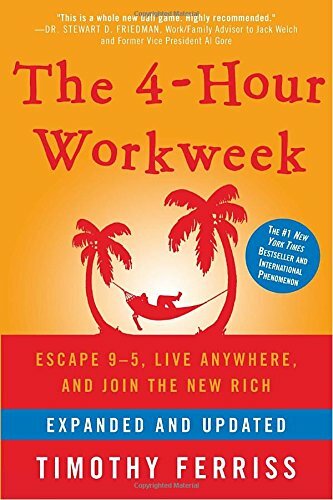 You’re working, you’re busy, and you’re probably tired. You don’t figure out the big questions in one sitting. So if you can’t do it in one sitting you have to break them down into steps, as small as possible. This is because 1) small steps can be done by anyone and so you tell yourself to do it and believe it and 2) every step you take means you are getting farther along towards starting your “thing”. A month later you are well past ground zero and can see the progress you’re making. We cannot stress how important this is. – If you feel stuck, you won’t feel good even if you are making amazing progress, which means you will be less willing to work on your idea and might even give up. The best talk we have ever seen about how to structure your thoughts and keep moving is a talk by Stephen Dunieier. His talk gets to the root of how to actually get something done. We all get lost in our thoughts and our rules and our “limits”, and we end up like a lumberjack staring at the forest instead of cutting a tree down. But the thing is that executing on a big idea takes a lot of steps, and all of those steps don’t have to be done right now. “From kindergarten, all the way through to my high school graduation…every one of my report cards basically said the same thing: Steven is a very bright young boy, if only he would just settle down and focus. What they didn't realize was I wanted that even more than they wanted it for me, I just couldn't. And so, from kindergarten straight through the 2nd year of college, I was a really consistent C, C- student. But then going into my junior year, I'd had enough. I thought I want to make a change. I'm going to make a marginal adjustment, and I'm going to stop being a spectator of my decision-making and start becoming an active participant. And so, that year, instead of pretending, again, that I would suddenly be able to settle down and focus on things for more than five or ten minutes at a time, I decided to assume I wouldn't. And so, if I wanted to achieve the type of outcome that I desire - doing well in school - I was going to actually have to change my approach. And so I made a marginal adjustment. If I would get an assignment, let's say, read five chapters in a book, I wouldn't think of it as five chapters, I wouldn't even think of it as one chapter. I would break it down into these tasks that I could achieve, that would require me to focus for just five or ten minutes at a time. So, maybe three or four paragraphs. That's it. I would do that and when I was done with those five or ten minutes, I would get up. I'd go shoot some hoops, do a little drawing, maybe play video games for a few minutes, and then I come back. Not necessarily to the same assignment, not even necessarily to the same subject, but just to another task that required just five to ten minutes of my attention. From that point forward, all the way through to graduation, I was a straight-A student, Dean's List, President's Honor Roll, every semester. Do you know how long it takes to buy a website domain? About 30 seconds if you have an account setup. And less than 2 minutes if you don’t. I bought a website domain in-between writing the last two sentences. And it’s for an idea that has be percolating for half a decade. And now, tomorrow I’m going to be thinking about this and say “well, obviously I have to do the next step, I just bought a domain”. Even this website! We said to ourselves “we want to create an online resource for value investing”. Do you know how many hours it takes to create a “resource” of anything? It’s more than an afternoon. And you’re reading this article on a site that is not our end “vision”, but the site exists! And you’re here. And that means we’re making progress (thanks for visiting). “I set a resolution to hike all 33 trails in the front country of Santa Barbara Mountains. And I'd never been on a hike before in my life. (Laughter) But the truth of the matter is, it's not about the 33 trails. You have to break this big ambitious goal down into these more manageable decisions - the types of decisions that need to be made correctly along the way in order to improve the odds of achieving the type of outcome you desire. It's not about even one trail. It's about those tiny little decisions…when you are sitting at your desk, putting in just a little extra time at the end of a day. Or you're lying on your couch, clicking through the channels on your remote control, or scrolling through your Facebook feed, and in that moment, make the decision to put it down. You go put on your hiking clothes, you go walk outside your front door, and you shut it behind you. You walk to your car, get in, drive to the trailhead. You get out of the car at the trailhead, and you take one step, you take two steps, three steps. Every one of those steps that I have just described is a tiny little decision that needs to be made correctly along the way in order to achieve the ultimate outcome. · Step 3: Pace Check. Did step 1 and 2 take longer than 10 minutes? If it did, watching Stephen Dunieier’s TEDx talk is now your step one and it will take 17 minutes and 52 seconds. · Step 4: Cut down the office hours. · Step 5: Be OK psychologically doing just enough to not get fired. Side tip: Not making progress? Make a meeting with yourself! 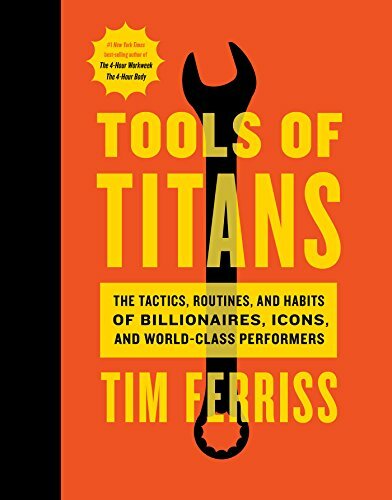 This quote is from Tools of Titans by Tim Ferris – A quote from comedian Mike Birbiglia. At the time he was struggling with finding time to finish a script.